Already created your Web GIS and started managing your geodata using admin web console? That should work good but maybe you need more? Today we officially release NextGIS Connect plugin so you could link your desktop and Web GIS at nextgis.com. Now you have all the power and flexibility of desktop GIS at your disposal. 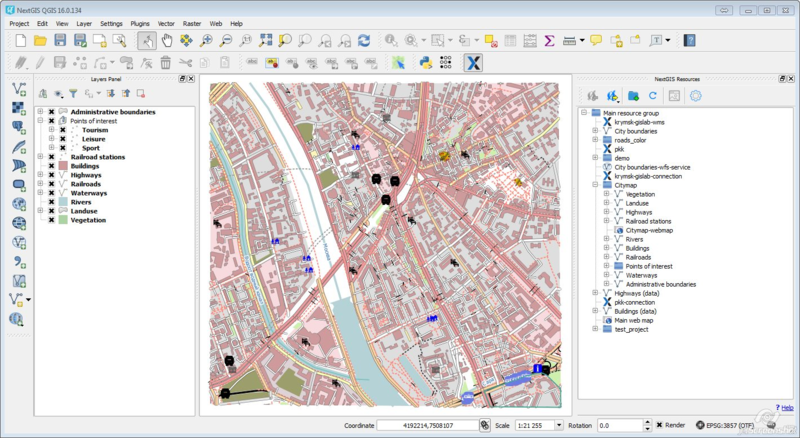 Right now NextGIS Connect is available for QGIS, but we plan to port it to other GIS packages. NextGIS Connect comes pre-packaged in NextGIS QGIS and you can start working with it right after installing. It’s already published in the official QGIS repository, so if you prefer official releases you can easily start using NextGIS Connect too. Create WFS services in one click and edit data stored in Web GIS. 1. Install NextGIS Connect plugin from official repository or install NextGIS QGIS. 2. Create connection to your Web GIS and start working. 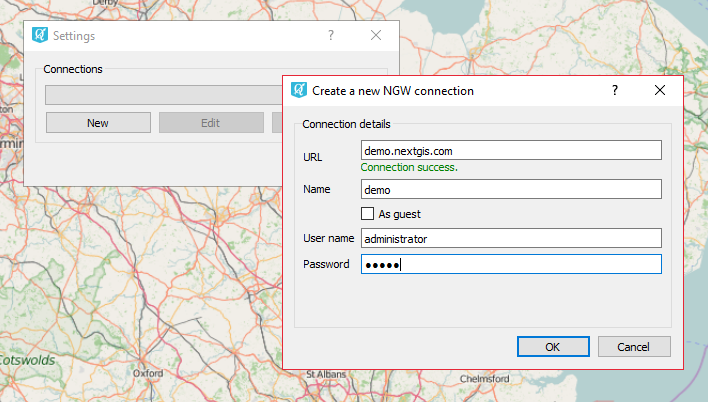 To make your use of NextGIS Connect as smooth as possible, we’ve added a new section on how to work with your Web GIS from desktop to our Web GIS manual. Have an idea, a question or noticed a bug? We’d love to hear from you. Find some useful links here. ← Your cloud Web GIS!